How to create a free blog? If somebody have similar question for me, I should strongly recommend Blogger.com. 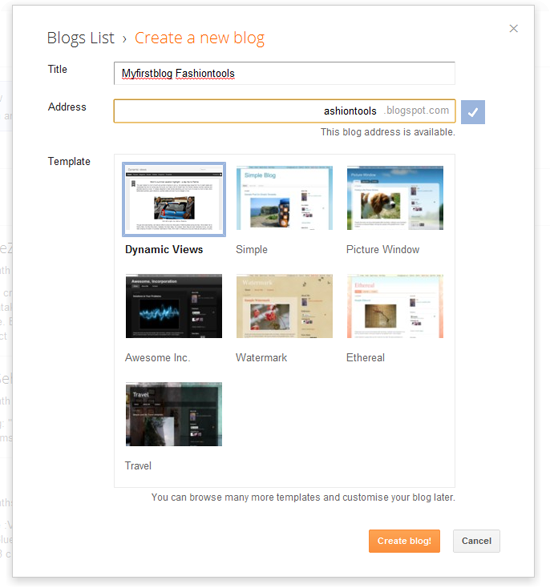 Blogger is a free blogging service from Google. You can create your own personal blog in blogger in few simple steps. And it’s very simple and can complete with in 7 steps. After creating your blog, its address will be *******.blogspot.com. If you own a domain, you can use the same domain name for the newly created BlogSpot blog. In my latter posts I will explain how to set up a custom domain name for your BlogSpot blog. Here I am going to explain how to create your first blog. I am planning to publish more articles about each feature of blogger in upcoming weeks. Step1: Go to Blogger.com or you can use draft.blogger.com for creating your new blog. Now you will come across a beautiful sign in window from blogger. 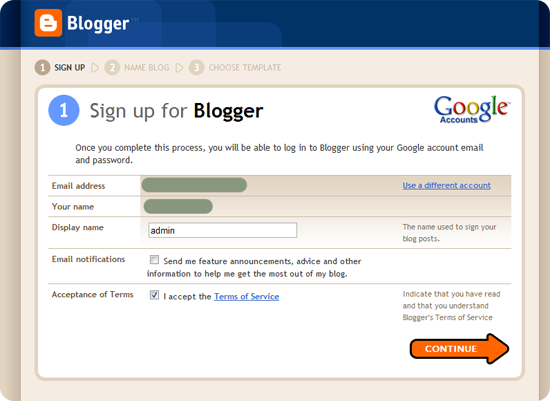 If you own a Google account you can use the same mail id and password to sign in to blogger. Otherwise you can create a new Google account or you can go to get started to create your first blog. Step 4: That is it, you created an account in blogger where you can make your own blogs. 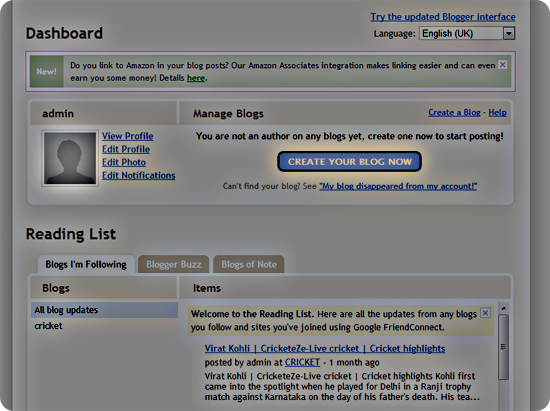 In this step you will come across old interface of blogger. 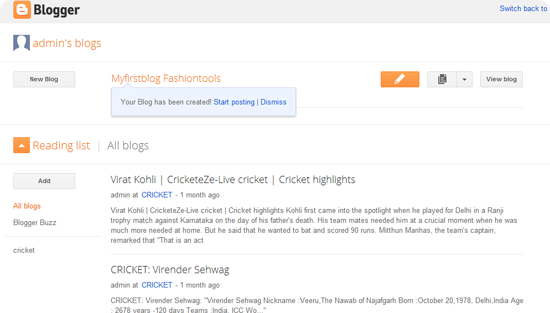 I strongly recommend to use new interface of blogger for more advanced features and ease of use. In that case you just click “Try the updated Blogger interface” where you will come across new blogger interface which is much more attractive than old interface. Step 5: In the image below you can see new blog in the left of the same. Shout it, It will lead to a new window where you can name your blog as well as you can check for the available url(eg:picturescraps.blogspot.com). If the desired url is available you can click create blog. Ah ie it u Created your first free blog in blogger.com. Step 6: Now you can immediately start posting your contents in the free blog or go for the customizations to better look as well as for the better user experience. Ste 7: If you are going to start your posting you can find an interface something like as shown below. Where you can write your contents, You can upload photos videos and many more. For more tips about blogging and many more sign up for our news letter and stay in touch with us. Nice tutorial. Well explained. Thanks for explaining well. I am hopping more posts about blogging in the near future. Keep up your good work. You can expect more posts about blogging. Thanks for your valuable Response.